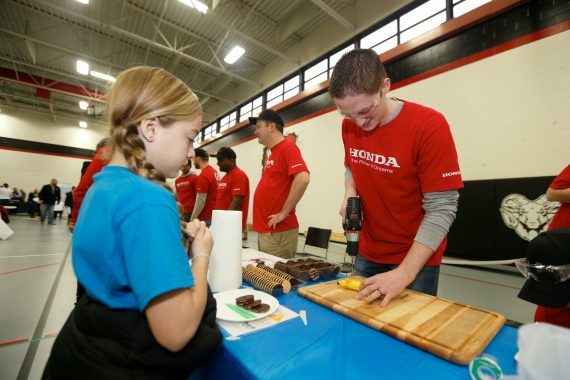 Associates Help Students Build Cars – From Food! 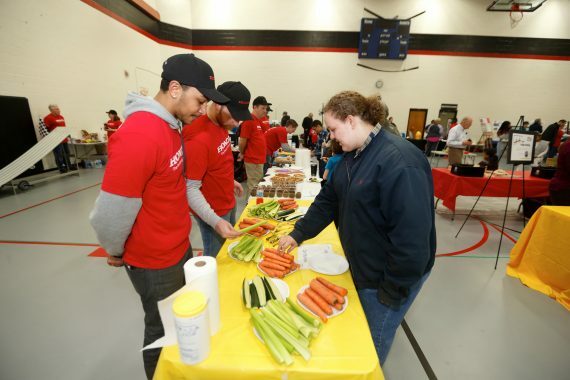 Associates Help Students Build Cars – From Food! Cookies, bananas, carrots and celery aren’t the typical building materials used to produce cars. But at the 6th Annual Central Ohio STEM Expo in Whitehall, Ohio, students used these foods as materials for some amazing (and delicious) race cars. 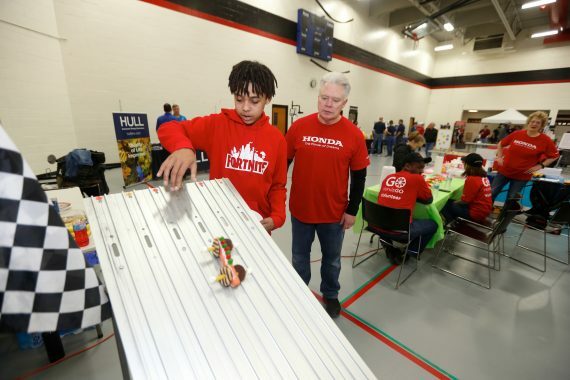 Hosted by the American Society of Civil Engineers, the Honda Young Professionals (HYP) Business Resource Group volunteered at the event to help students in grades K-8 build edible cars, then race them. About 15 associates attended the event. “This free STEM expo was such a fantastic way to make engineering fun for kids by bringing food and cars together. 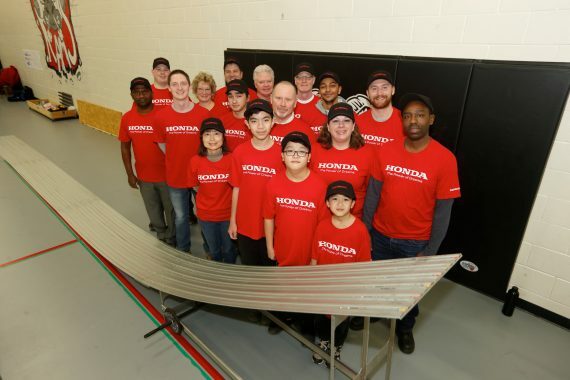 It gave me the opportunity to work alongside many talented associates from across Honda,” said Heather Boyd, a Honda Trading America associate. Attendees participated in fun and interactive activities and exhibits in the Science, Technology, Engineering and Math fields.